There are many reasons why VA loan requirements are so attractive to borrowers with military credentials this year. The U.S economy is booming again, the housing market is soaring and eligible VA home loan applicants have access to arguably the best mortgage to refinance or buy a house in 2018. When most people look at buying a home, one of the most important considerations is to compare the types of loans and down payments that are required. Once you start to look at what is available, it is easy to understand why many military members and veterans choose a VA home loan. The 2019 VA loan requirements continue to boast of some of the most attractive credit rules and down payment options for those who qualify for VA financing. People with past credit problems love that VA loans have No minimum credit score requirements in 2019. Another advantage of VA loan requirements is the flexible underwriting. There is no minimum credit score for VA loans. Many approved VA lenders will have their own credit standards; many require a credit score of at least 620. There are some lenders that will offer VA mortgages at a lower interest rate, but they will want a higher interest rate. If you are looking for a VA loan with 570 credit score, you will need to be talking with the right lending sources. There are a few mortgage companies that will approve VA loans for people with 500 to 600 credit scores, but most companies are looking to offer VA loans to people with credit score at 620 or higher. The VA program also allows the borrower to use their benefit only one or two years after a bankruptcy or foreclosure. The VA is required to look at the entire credit picture and will not necessarily decline you because of a negative credit event in the recent past. Maybe, the most attractive feature of VA loans today is that most who qualify can put no money down and get a mortgage. Plus, there is no mortgage insurance required. By offering a guaranteed zero-money down home loan, the VA is able to provide more flexibility in buying a home than you would otherwise be able to. In the past, many people had to continue to pay rent for years while they saved up 10% or 20% to buy a home. The VA loan program is one of the few mortgage options today that allows 100% financing. About 90% of VA loan borrowers use 100% financing. But there is an advantage to putting down 5%. If you put down at least that much, your VA funding fee will drop. That fee is usually 2.15% of the loan amount for 100% VA financing. But if you make a 5% down payment, the fee will drop to 1.5%. The fee lowers more if you put down 10%. We’ve establish that VA loan requirements allow veterans and active military personnel to buy a home with no money down. There are more low-down payment mortgage options today than a few years ago. Today, conventional mortgages are available with a 3% down payment, and others require a 5% down payment. But people who have lower credit scores than 640 may have trouble qualifying for these programs. Having a lower credit score also can result in a higher interest rate. For borrowers that do not have VA loan eligibility, FHA is a good option for people with lower credit score, and they are available with a 3.5% down payment if you have a 580 or higher credit score. The interest rates on these loans are competitive as well. But you will pay higher than average mortgage insurance premiums. Those premiums also cannot be cancelled in many cases, as can conventional loan mortgage insurance. No money down and no mortgage insurance make 2018 VA loan requirements very attractive. Borrowers need to show they have enough income to pay the loan each month. They should not have too much debt, but the VA loan guidelines offer more flexibility than for conventional loans. Underwriters are required to do their due diligence under federal law, but there is more flexibility because this is a government benefit program. As noted above, VA loans are one of the only loan programs today available with 100% financing. Back before the mortgage crisis, there were many 100% financing loan options, but VA and USDA loans are about the only ones left in 2019. There are other advantages of VA loans you should be aware of as well. VA loans, like FHA loans, allow the borrower to use gift funds for down payments and closing costs. The gift funds need to come from people who are close to you, such as family or close friends. Lenders will want to see the paper trial for the gift money. So, you will have to show bank statements or financial statements to show where the money came from. The money will have to be seasoned as well; a relative cannot just send wire you the money just before closing. It will probably have to sit in your bank account for at least 60 days to be able to work for a down payment or closing cost assistance. Most lenders also want to see a letter from the person giving you the financial gift. It will need to include the information of the donor, his or her relationship to you, and legal wording that states no repayment of the gift is needed in the future. Are you in the military or a veteran? Thinking about using your VA benefit to buy a home? We want to warn you about various VA mortgage scams out there that can rip you off for thousands of dollars. Generally, you should be wary of too good to be true mortgages and refinancing offers that could come in the mail from what looks like the Department of Veteran Affairs. Some of these offers are scams. For example, in 2013, a retired Air Force colonel had a refinancing deal on a VA loan fall through. The woman claimed that she and her husband responded to a mailer that promised to do a streamline refinance on their current VA mortgage. The offer promised to give them a new loan with a lower rate and with minimal underwriting. Under normal conditions, this type of loan is possible and can be a good financial move, if you are able to refinance at a rate that is at least .5% below what you have now. Talk to experienced, VA lending representatives about VA mortgage requirements before signing documents that commit you to buy a home. The couple said the company representative told them that their 30 year fixed rate would begin at 4.75%, which was .75% above the rates at the time. But it would go down every 90 days until it got to 3%, no more than 180 days after closing. The couple paid several thousand dollars but the rates never dropped. Sadly, this type of scam with VA loans is becoming more common. All veterans and active military should beware of anything they get in the mail that offers mortgage refinancing. Any letter in the mail that is regarding your VA mortgage probably is not from the VA; thousands of mortgage solicitation companies have access to mortgage records which are public record. It is very common for people holding a mortgage to be solicited in this fashion. Some of these are legitimate offers, but some of them may be scams. Be careful to know who is sending you the VA mortgage offer. The VA will never contact you in the mail about your mortgage. Keep this in mind when you read anything in the mail. Letters are designed to look like they are official to make it appear they are from your lender. The company is required to have a disclosure in the letter, but it usually is in tiny type at the bottom and on the back of the letter. Never pay money up front to any company. If a mortgage company is asking you to pay money up front for services to be performed later, you should walk away. Never pay any fees or points that are out of the norm. A good lender only should charge you up to $1000 to underwrite and process the loan. VA appraisals are usually $300 to $500. Anything outside these numbers may not be on the up and up. Choose mortgage terms that fit your needs. It is good to be conservative when dealing with a home loan. A 30 year fixed rate is often the best option. You know exactly what your payment will be each month for many years. If you want to pay more on the loan, you can, but you know what the minimum payment will be for the long haul. It is risky to depend upon an adjustable rate so that you can just have a lower payment for a few years. An ARM is also another way for the mortgage company to come back in three or five years and get you to pay for another refinance. Try and work with VA mortgage companies inside your region. The VA loan company you work with should be licensed in your state, and should be in your city. You want to be able to get customer service easily if something goes wrong. 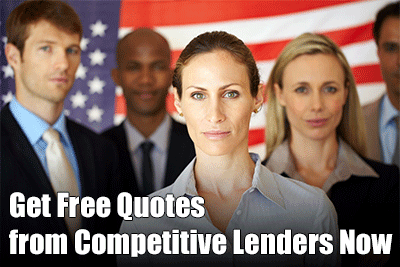 You should have the name and phone number of a licensed loan originator in your town. Know your VA loan benefits well and be aware how the VA protects you. Many veterans do not know what the VA does and does not provide to them. If you are not familiar with the VA home loan program, you can find all the information you need at this link. Before you respond to any VA loan offer, you should check with other banks and ensure that you have shopped around so you can compare the rate being offered with others. 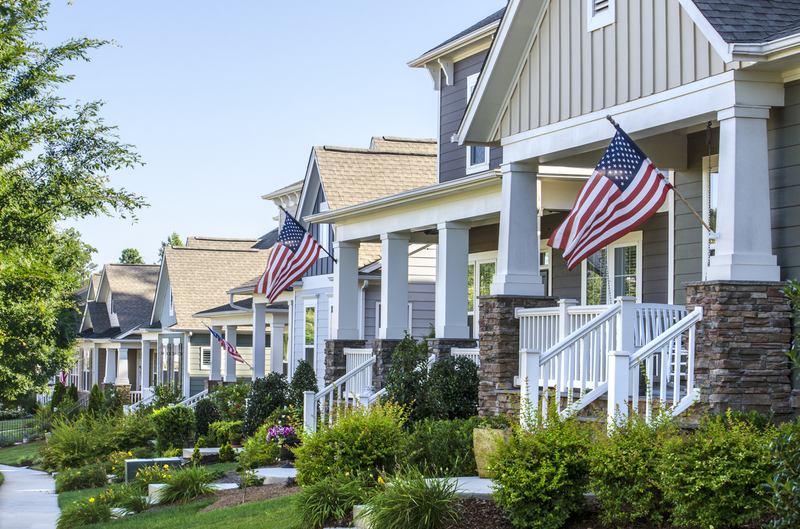 Military members and retired vets have earned the right to enjoy their VA home loan benefit. But there are unscrupulous companies out there, so make sure you are not scammed. Technically, there is no limit on how much you can borrow with VA eligibility; you only need to show that you have the income to make the payments. But there is a limit to how much liability the VA assumes; for many parts of the country, the mortgage lenders use the conforming loan limit of $417,000. Hat Tip: Thanks to Military.com for the details on the VA loan limits. Check out this article from the Washington Post, Veterans Should Be Aware of Mortgage Scams.